A simple heirloom carrots recipe, roasted on a bed of citrus and herbs, finished with a dab of orange butter, sea salt, parsley and thyme! 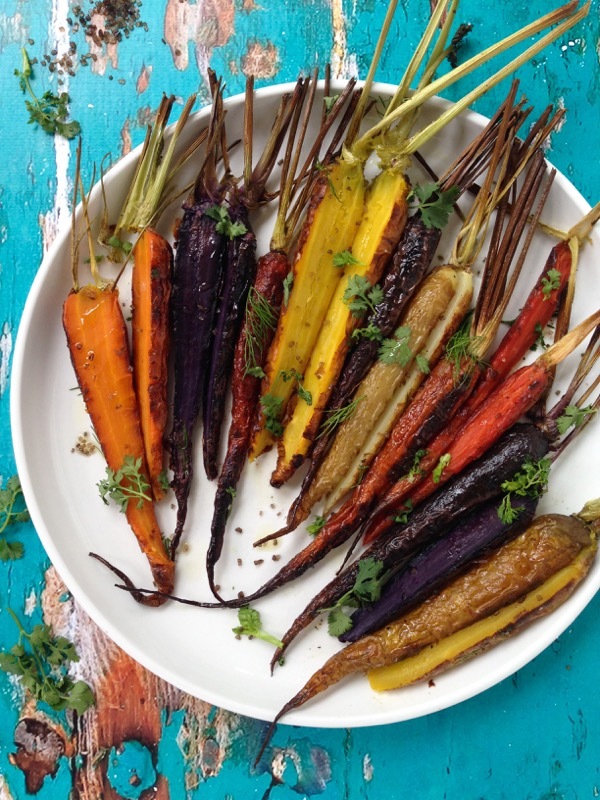 Quickly tossed in olive oil and seasoned with simply a good pinch of sea salt, these rainbow roasted carrots are best served hot and crispy, caramelized at the edges, straight out of the oven sprinkled with fresh herbs. The tiny dabs of orange butter melt from the heat of the carrots into the silkiest smoothest touch of sauce, a lovely final addition but not mandatory If you want to stay vegan. You could even combine them with parsnips or parsley root if you liked, no peeling required. If you want them extra caramelized, just throw them under the broiler flames for a minute or so after they are done roasting in the oven, just enough to get a nice long kiss of fire all over. 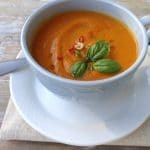 Easy to make for a crowd, and If you have any leftover they are perfect to turn into a roasted carrot soup. 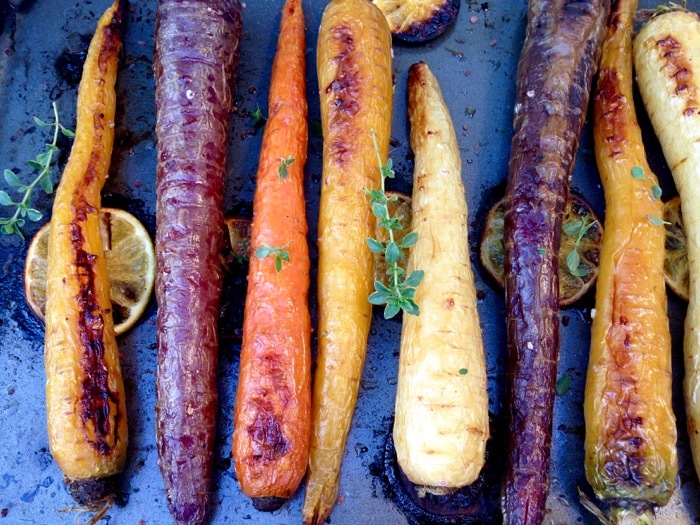 Best way to cook rainbow carrots is to roast them in the oven on a bed of orange slices and thyme. Those will infuse the carrots with a subtle orange flavor as they roast, and the steam will also keep them from drying out. This heirloom roasted carrots recipe has earned a place of honor in our Thanksgiving and Christmas recipe folder and put on rotation during the cooler months. 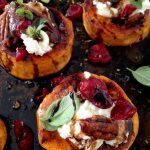 They aren’t only delicious but also good for you! 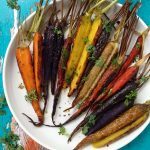 A simple heirloom carrots recipe, roasted on a bed of citrus and finished with a dab of orange butter, sea salt and herbs! Mix the butter and orange zest until well incorporated. Refrigerate while the carrots are roasting. Arrange the orange slices on the bottom of an oiled shallow baking dish and cover with a few thyme sprigs. Toss the carrots ( scrubbed well and dry ) with the olive oil and a pinch of sea salt and place them on top of the oranges and thyme. Roast at 425″ for about 40 minutes, until al dente turning once half way through cooking. If you prefer them softer cook an additional 10 minutes. Remove the carrots from the oven and top with thin small dabs of the cold orange butter. 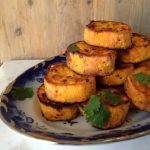 Sprinkle with some fresh herbs and enjoy as a side dish next to steaks, roasts or chicken. 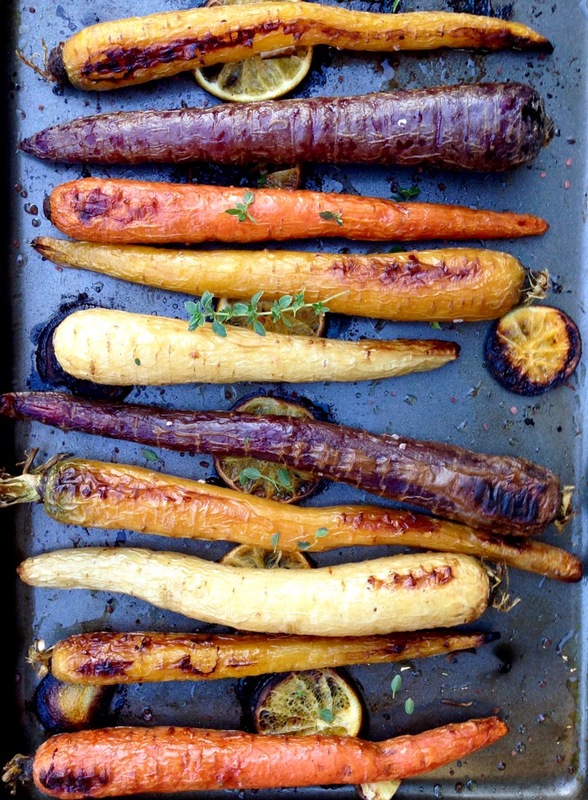 If you prefer a deeper caramelization of the carrots, just throw them under the broiler fire for a minute or two.